Wonderful card Julie that looks like your pup. Just Gorgeous! 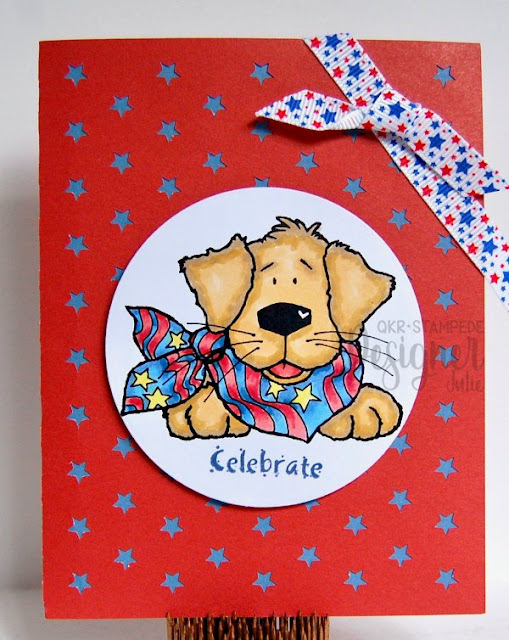 Thanks for sharing with us at Sunny Day Crafting and Not Just Cards. So LUV your card. Your coloring is fantastic, and the little image is adorable. I am so sorry to read of the loss of your fur-baby. At our house, the fur-babies are part of the family, too. I understand how your heart is breaking.